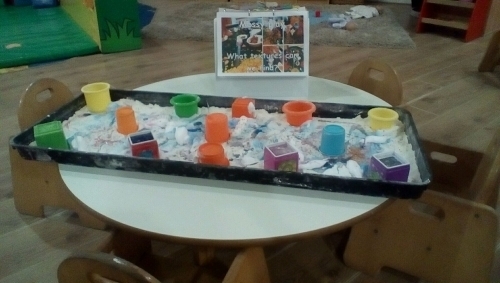 The Ashbourne Day Nurseries Group was founded, by parents, to provide an alternative nursery service which focused on investing in its babies and children, and their future well-being, rather than running individual sites as independent businesses. As a day nursery group, Ashbourne can afford to make this investment, and the results in children's behaviour in our caring learning environment showed extremely quickly. The Ashbourne Day Nurseries Group was founded, by parents, to provide an alternative nursery service which focused on investing in its babies and children, and their future well-being, rather than running individual sites as independent businesses. As a day nursery group, Ashbourne can afford to make this investment, and the results in children's behaviour in our caring learning environment showed extremely quickly. We now have eight nursery settings within the group across Bedfordshire, Buckinghamshire, Essex,Hertfordshire & Northamptonshire. Building strong relationships with parents and guardians is essential to our approach. We understand the pain that most mothers feel as they contemplate returning to work and putting their little one into nursery. The settling-in period for your child (and you) is agreed by you and your key worker together - so everyone is comfortable and confident on your little one's first full day at nursery. Once settled in, we make every effort to have as many one-to-one conversations with you as your time (and children) will allow, and work as a team. Everyone within the Ashbourne Day Nurseries group feels so strongly about this that we've made substantial investments into multimedia communication techniques. We are able to instantly share daily information, the occasional photo and even video footage of your child. Like other nurseries that provide care from baby to school age, we follow a curriculum and are governed by Ofsted, working with the Department of Education and Skills, the Pre-School Learning Alliance, 4 Children and various local authorities. However, our highly experienced and qualified caring team always try their best to provide the tailored care you'd normally only expect from extended family. Child-led learning is the route most families naturally - and unknowingly - take at home. 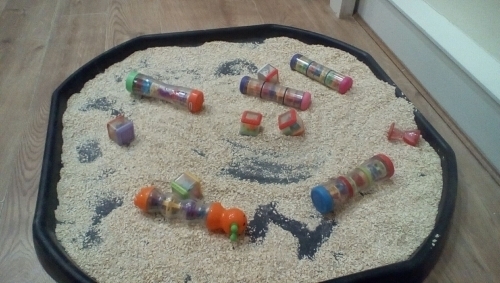 At the youngest end of the scale, our carers carefully select a toy for each baby after studying their responses to various stimuli, so they develop their senses at a healthy, but natural rate. Children's developmental stages occur at each individual's own rate, and we pride ourselves on accommodating this. From language skill development to toilet training, your dedicated key worker will only progress your little one's abilities when they show signs of readiness. 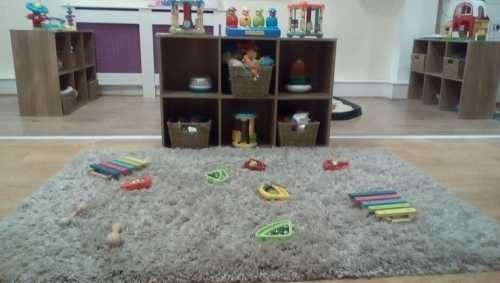 Monitoring children's development at this detailed level is how we're able to mimic childcare in your home.